Do You See Now That Happy Retirement Is Not Just About Finances? 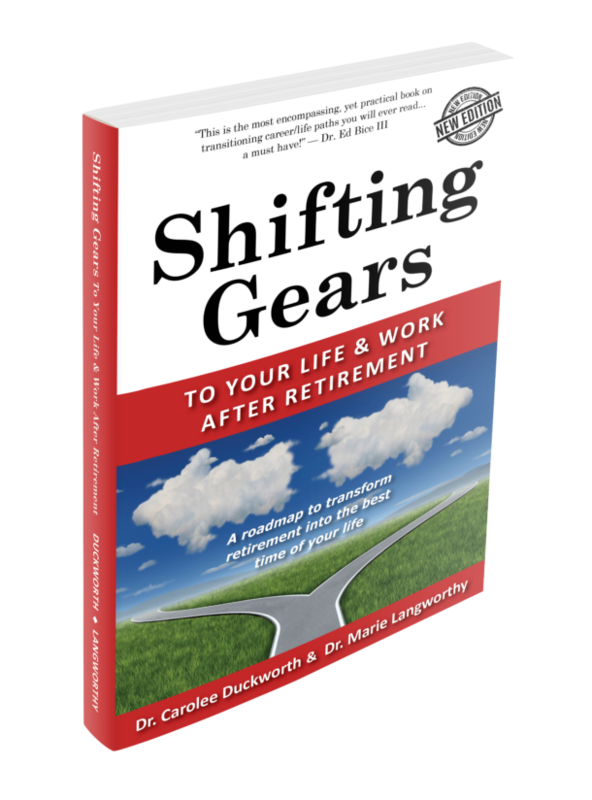 Receive a FREE chapter from Shifting Gears to Your Life & Work After Retirement to begin to clarify what you need to design your own engaged, purposeful, fulfilling retirement life and work. You have succeeded in joining the Shifting Gears group. Your FREE chapter will be arrive soon. Give yourself the time to dig in and discover more about yourSELF. Information you provide will be kept private.